Apple had seen fit to release the next in line update for its iOS 10 firmware a few days back. While the update wasn’t that big in terms of visual changes, it did pack quite a handful of upgrades in the performance department. Features part of the update range from the new Find My AirPods app to the Apple File System that enhances device performance. 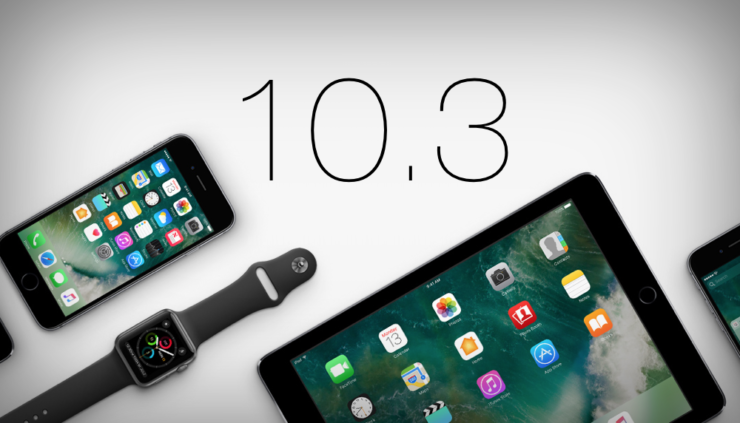 However, updating to iOS 10.3 has re-enabled some on-device services which were initially disabled by the user. Apple took note of the scenario and reached out to those users. Let’s dive in to see some more details on the subject. First reported by MacRumors, Apple has reached out to some iOS users via email, signaling that a bug in iOS 10.3 may lead to some iCloud services being re-enabled which were disabled by the user initially. While this may not be that big of an issue, Apple in its email suggests that users should check if the settings they disabled are turned back on in the Settings. The email from Apple does not specifically points the service which have been automatically activated by the update. However, it does report of a user who turned off his or her iCloud Mail and updating to the latest iOS 10.3 reactivated it. According to Apple, iCloud Keychain, Find My iPhone and iCloud Photo Library were not affected by the issue. For those of you who have not yet updated to iOS 10.3 can update directly to iOS 10.3.1. Since iOS 10.3.1 solves the issue, your settings will not be affected at all. The company has not suggested the number of people affected by the issue, but anyone who has updated will experience the issue. So be sure to update to iOS 10.3.1 as to avoid any issues caused by the previous update. This is it for now, folks. What are your thoughts on iOS 10.3 re-enabling some disabled services? Share your thoughts with us in the comments.